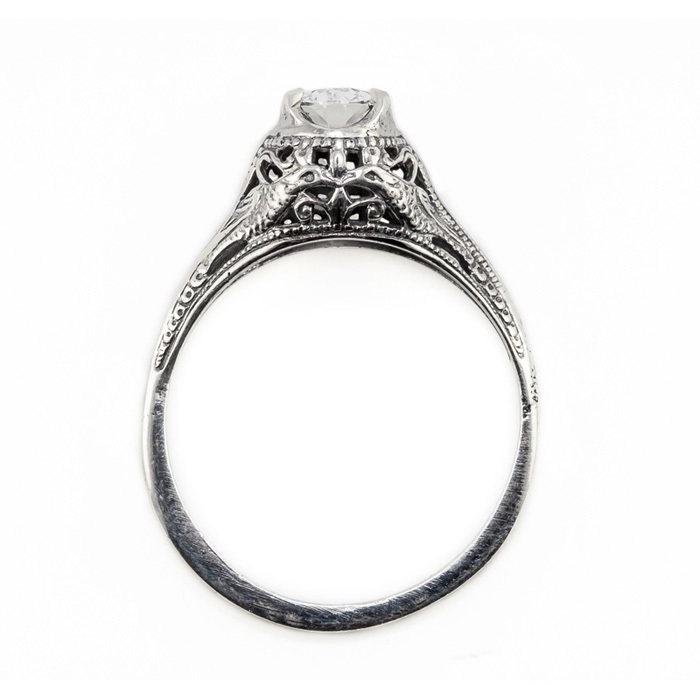 Following in the path of the elegant and classy women who came before us, a stylish piece of heirloom jewelry is a must have for every woman. A vibrant green amethyst gem nestled in 14K white gold has been created for you by the talented jewelers of Apples of Gold. 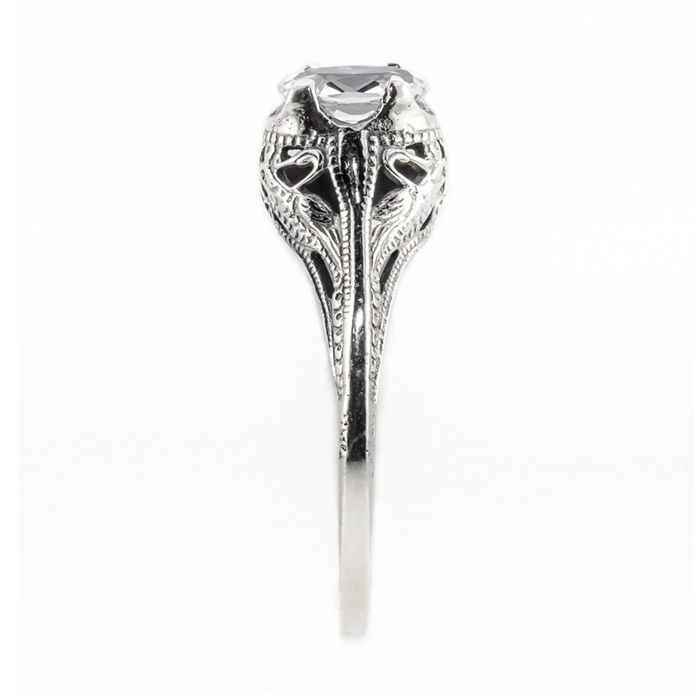 With a vintage inspired swan design, this piece of jewelry radiates elegance. Measures 7mm x 5mm of timeless treasure. 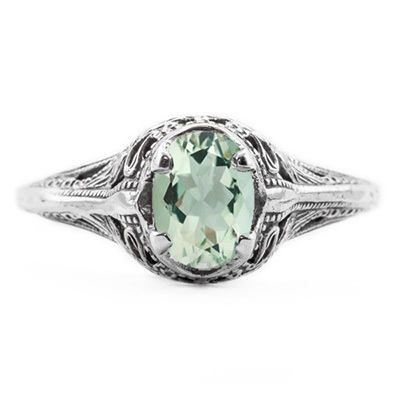 The sparkling green amethyst gem is oval in shape and is creatively placed in the center of the 14K white gold band. Ready to ship today. We guarantee our Swan Design Vintage Style Oval Cut Green Amethyst Ring in 14K White Gold to be high quality, authentic jewelry, as described above.